The Open Internet Coalition, a mix of the most influential technology companies in the world, sans Apple and Microsoft, has filed a brief with the Federal Communications Commission (FCC) arguing in favor of its current rules concerning net neutrality. 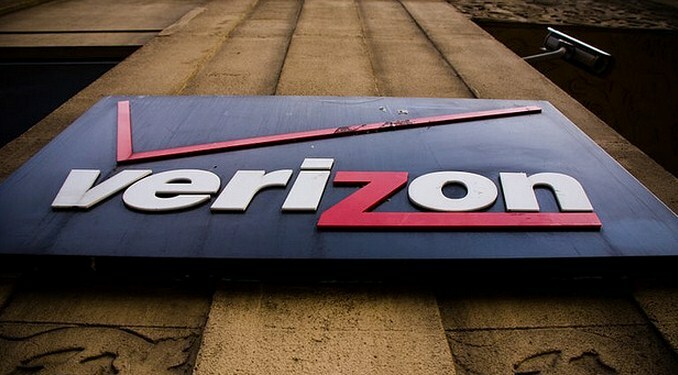 As The Hill notes, the brief is a response to a lawsuit by Verizon to overturn the law. For a very long, tedious, and broad take on Verizon’s suit, allegations, the current laws, and commentary, head here. Verizon filed a brief as part of its lawsuit to overturn the FCC’s rules that pertain to ‘net neutrality.’ A 2010 ruling, Comcast Corp. v. FCC, laid much of the policy groundwork for current net neutrality rules that bind Internet service providers into giving all traffic equal berth, not slowing or speeding any specific content. If speech can be defined as the selective slowing, or speeding up of specific pieces of content on a network that consumers have purchased contractual access to, then Verizon has a case. If, however, the court feels that the Internet, being the headless horseman that it is (run by non-profits, built on datacenters run by giants, and delivered by myriad ISPs), isn’t something that can be thus constrained, then Verizon has no case. In the face of the suit, concerned parties – the Open Internet Coalition – have taken Verizon to task on a point by point basis. The following are condensed excerpts from the filed brief. All bolding is via TNW. Open Internet Coalition: The FCC has the authority to impose net neutrality rules. Open Internet Coalition: ‘Open Internet’ rules are in fact good for infrastrucutre investment, as they drive demand for content. The main remaining question about Section 706 is whether the rules do what Congress asked the FCC to do: remove barriers to infrastructure investment. Notably, Petitioners never go so far as to say that there is no relationship whatsoever between assuring that content is not treated in a discriminatory fashion by broadband providers and investing in infrastructure. As the FCC’s brief convincingly explains, both Verizon and MetroPCS have recognized that consumers’ desire to use high-bandwidth applications, such as streaming video, leads directly to investment in infrastructure. Open Internet Coalition: Netflix is proof of this fact. [Its] millions of viewers cannot knock on Netflix’s door directly. Nor can they rely on antiquated dial-up access to receive high-quality video. They must turn to their phone, cable, or cell phone provider for broadband access. Demand for Netflix and similar services has thus translated directly into increased demand for and investment in broadband deployment. That matters, due to the fact that infrastructure investment is key. If the Open Internet Coalition can demonstrate that deconstructing net neutrality rules would hinder investment into infrastructure, than the FCC would loath to make that change, as it has the purview to ‘remove barriers’ to that growth; thus striking net neutrality would be antithetical to its own job. Open Internet Coalition: Comcast, another big ISP, agrees with this. Open Internet Coalition: Allow for a gatekeeper, and investment in content will go down. This, implicitly, will lower demand for said content, which will slow infrastructure growth. The correlation between content and demand for access is unremarkable—no one buys broadband access for the empty pipes’ own sake. The prospect of slowing growth in demand, in turn, is a deterrent to new entry. If the main gatekeepers of broadband access prioritize their favored content, many content providers would be marginalized, stifled, endangered, or rendered extinct for failure to find funding. Thus, content would be suppressed, regardless of new entrants in the access business. The echoes of free speech that you just picked up are not irrelevant. Open Internet Coalition: All this stuff matters right now, as we need this sort of protection today, and not down the road. Although the opponents of the Open Internet Rules claim that the rules are a solution in search of a problem, discriminatory practices are no longer outliers. Cable modem service providers other than Comcast and Madison River Communications have “managed” peer-to-peer traffic. Similarly, Skype and Google Voice found their IP-based voice applications blocked on iPhones using AT&T’s 3G network. Open Internet Coalition: This is how the Internet has run, and should be run. Openness is the “highly successful status quo” on the Internet. The FCC’s high-level rules merely preserve that status quo. In so doing, the rules provide much needed certainty at a time when broadband roviders have enhanced incentives and ability to act unilaterally against edge-based content, application, and service providers. Preserving the “virtuous cycle” and bringing a measure of certainty to the evolving Internet ecosystem is well within the FCC’s authority under Section 706. Open Internet Coalition: Verizon is overstating the potential harm it could incur. While there is no question that the rules solve a real problem and prevent Internet access providers from engaging in behavior that has been observed in the past, Verizon’s and MetroPCS’s injuries from the Open Internet Rules remain highly speculative. Open Internet Coalition: An open Internet is better for free speech than one in which gatekeepers roam. By invoking Turner I, Verizon and MetroPCS arrogate to themselves the role of the Internet’s “speaker” or “editor,” making decisions about what content does and does not travel over its network. Amazon.com, Ask.com, Chemistry.com, Citysearch, CollegeHumor, Computer & Communications Industry Association, Digital Media Association, DISH Network, Earthlink, eBay, Electronic Retailing Association, Facebook, Google, IAC, iWon, Match.com, Net Coalition, Netflix, PayPal, ServiceMagic, Shoebuy.com, Skype, Sling Media, Sony Electronics, Inc., StubHub, TechNet, TiVo, Twitter, Vanguard, Vonage, Writers Guild of America (West), and YouTube. As a final note, provided that I didn’t gloss your eyes with all that quoting, this tussle underscores how technology is now a political issue. It’s something to keep in mind.